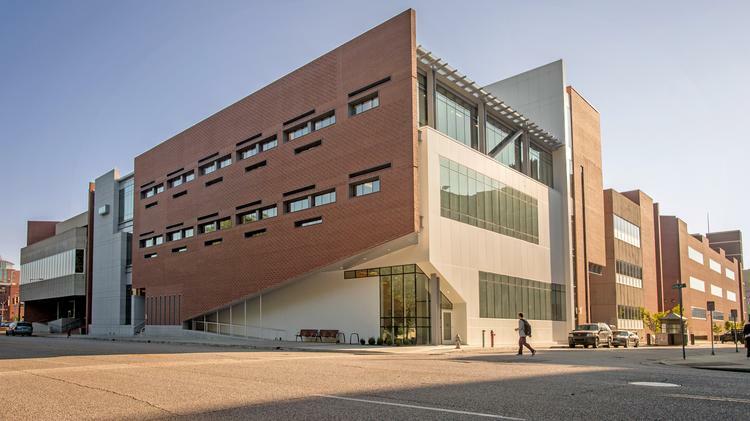 In less than three weeks, the University of Tennessee Health Science Center will launch its new $39.7 million, 45,000-square-foot building packed with high-tech tools and a cutting-edge training environment. 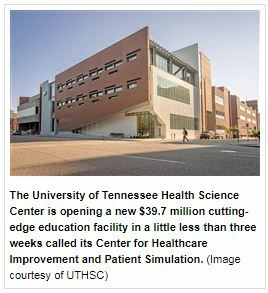 It is the kind of facility that represents a big leap forward for the school and shows how it’s literally “changing the face of health care education,” said UTHSC chancellor Steve Schwab. The Center for Healthcare Improvement and Patient Simulation, referred to by the acronym CHIPS, has been under construction since 2015 and is the only one of its kind in the state. It is a shift away from traditional learning in which students sit in rows in front of a professor behind a lectern. Instead, students from UTHSC’s six colleges – including dentistry, graduate health sciences, health professions, nursing, medicine and pharmacy – will be training together in simulation settings. That means, for example, part of their training might include working with high-fidelity patient simulators – a fancy term for mannequin-like contraptions that can cost between $15,000 and $220,000 and which can talk, open and close their eyes, breathe, simulate birthing and have other interactions with the students. In other words, students will be exposed to real-world patient interaction, but not only through simulation devices. The CHIPS facility will also employ “standardized patients,” actors who’ve been trained to portray patients and to respond in certain ways to certain cues from the students. In all, there’s $6 million in simulation equipment and $4.5 million in audio visual equipment and technology in the three-story CHIPS building. Its other features include 24 outpatient clinical rooms; 12 individual patient-care areas; four dentistry suites; an operating room, labor/delivery suite, a simulated pharmacy and more. “This will be a new place for us to change the way we educate our students on campus – for experiential learning, having our students participate in learning instead of sitting in their seats and listening to a lecture,” said Dr. Chad Epps, executive director of the CHIPS facility. “A lot of what we’ll do in this building is also things that I call non-technical skills. Those would be things like how we learn to work together and communicate effectively as a team. Other features of the facility include five multipurpose classrooms, in addition to 14 full-time employees and 10 debriefing rooms – rooms where students go into after participating in a simulated exercise where they’re “debriefed,” going over what was done well and what they can do better. There’s a different simulation training focus on each floor of the building. The first floor includes bed-skill stations as well as a virtual reality room, where students can practice things like ultrasound procedures and robotic surgeries, as well as a simulated home environment, where students can practice delivering in-home patient care. The second floor houses a simulated acute-care setting comparable to a hospital environment. The standardized patient program comprises the third floor. There, a community pharmacy has been set up, and it also includes 24 patient exam rooms that collectively constitute the Robert J. Kaplan Clinical Skills Center. The Kaplan Center, named for alumnus and Memphis dermatologist Robert J. Kaplan, trains future health care professionals in clinical skills like physical examination, taking a medical history and interpersonal communication skills. The lobby of the building is dedicated to Ken Brown, UTHSC’s executive vice chancellor and chief operations officer, who’s been the driving force in the development of the CHIPS facility. It will teach students not only to deliver better care but use simulation training to help them collaborate toward better outcomes in the classroom as well as once they’re in the field.